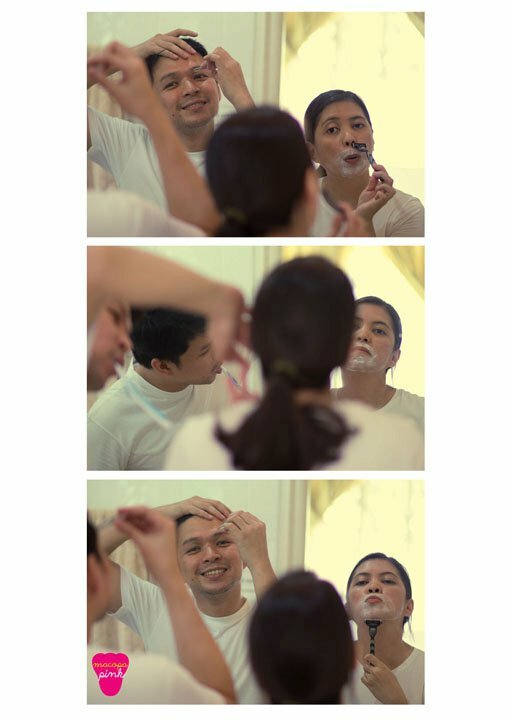 When these two irreverent and creative individuals (of the advertising breed) decided to marry, they made sure their wedding reeked of their personalities. 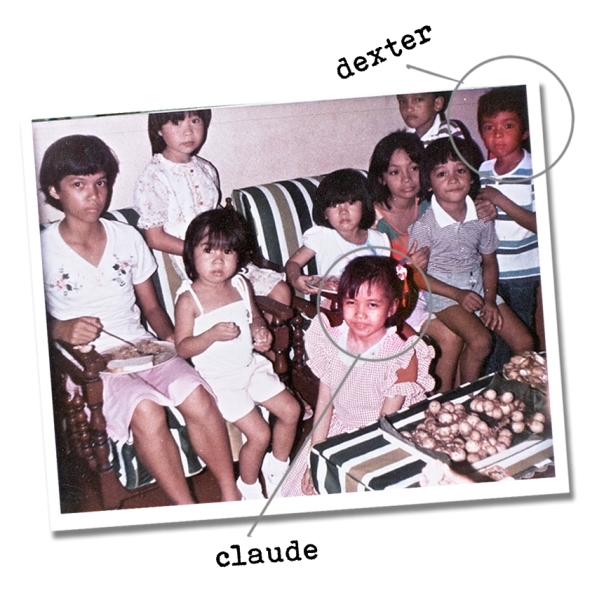 To get a little bit of perspective here’s something about the couple: Claude and Dexter are the creators of the strip “Along for the Ride.” This is their collaboration as a couple and as art director and writer, respectively. Claude & Dexter took this commandment quite literally. They were neighbors since they were 3 years old. But it took them 30 years to realize they were meant to be together. 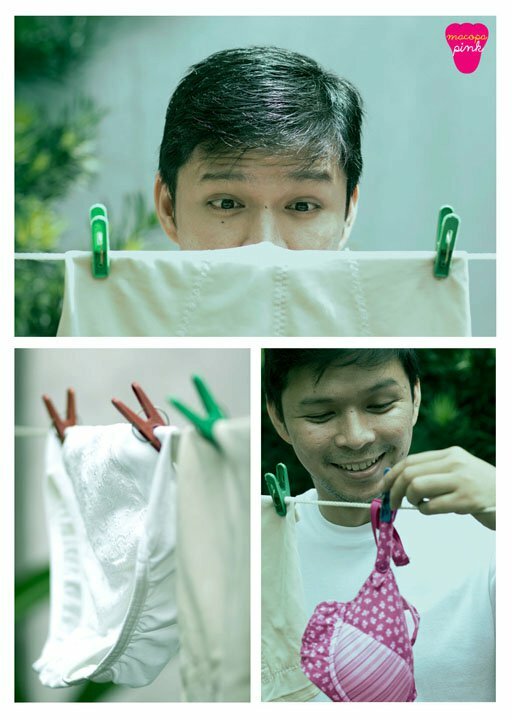 This is one of the most rebellious prenup shoots I have ever seen. While everyone else took the time and effort to wear elegant outfits, hire stylist, etc. Claude & Dexter simply wore their house clothes and did a role reversal shoot (ot maybe they were playing their actual characters…hehe). It was so spot-on and funny. Sabi na si Claude talaga nanligaw e! 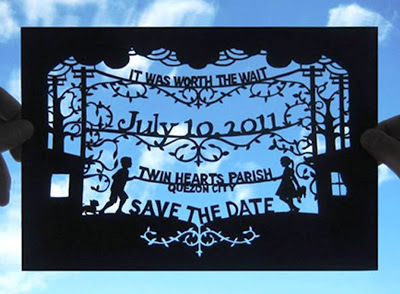 “Kinukuko ko ‘yan!” (I used my nails), Claude would say about their very intricate STD invite. It was nostalgic of their childhood and it was as intricate as their very long waiting and love story. 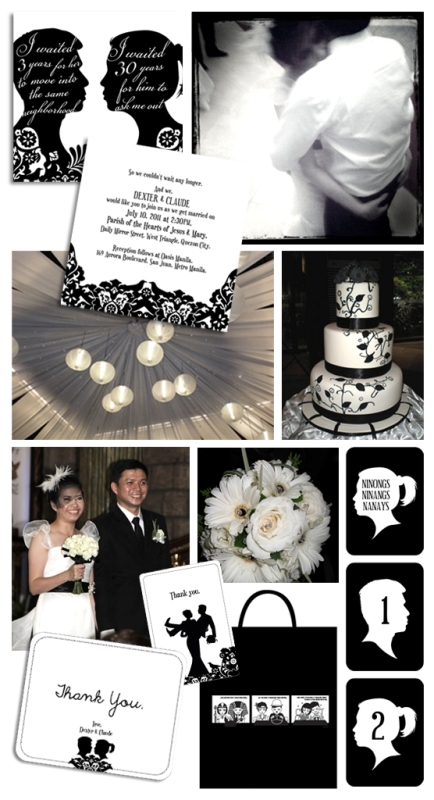 Just like their comic strips, everything was B&W with actual silhouettes of the couple as design elements. It was very classy but it was very them at the same time. Do you have any weddings you’d like us to blog about? Let us know! 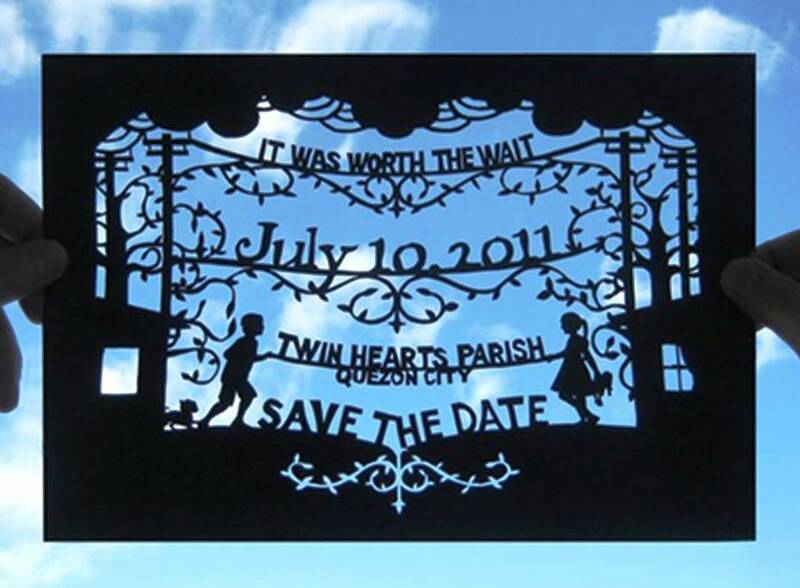 Don't you think a prenup in your tsinelas is awesome?! Haaannnggg gandaaa, evil sistah!!! Hahaha. Thank you!!! Kinikilig pa rin ako sa avp ng mister ko. kakakilig nga yung AVP. love na love ka ni dex! anong pinainom mo?! hehehe!